Teams made up of the boys and their fathers/male mentors squared off to test their knowledge of books they've been reading at home. 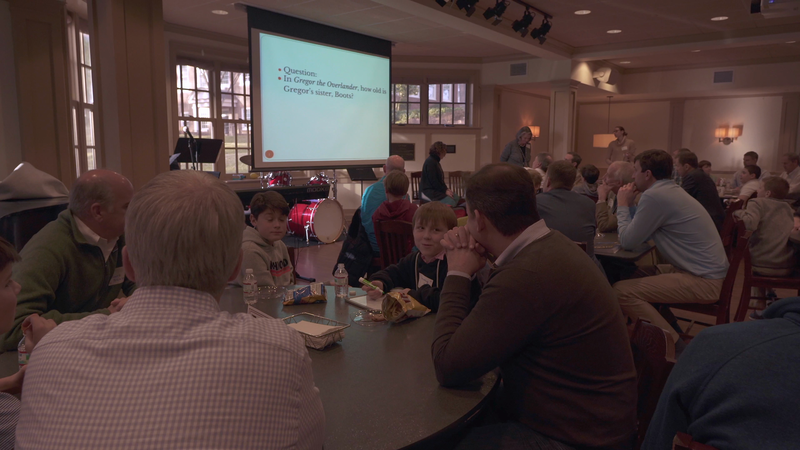 Approximately 75 fifth grade boys and their Dads/ male mentors came together on Thursday, January 31 for the annual "Dad's Read" book trivia contest. Every year, the boys and their fathers/ male mentors enjoy this chance to talk the books they've been reading together in a fun, competitive way. Congrats to the winning team!